We live on a blue planet, a planet of water not land. We are destroying the oceans. We all depend on the sea. If there is no life in the sea, there will be no life on land. The oceans do not exist to transport more cheap consumer crap from China. The sea does not exist to sit by on the beach in the Mediterranean. Plastic is a modern day curse. It ends up incineration, in landfill, or in the sea. Plastic, contrary to industry claims, plastic is not recycled. It is not recycled as is steel, glass and aluminium. At best some plastic is down-cycled. In the sea it breaks down into microscopic particles. It is concentrated by wind and ocean currents into feeding grounds. Near Bermuda in the Atlantic Ocean, currents define the Sargasso Sea — the only sea that is not defined by land boundaries. Known by some as a floating rain forest, the Sargasso Sea is named for the free-floating Sargassum which provides food and shelter for a vast variety of wildlife. However, those same currents carry a huge amount of plastics that eventually break down in the water and are eaten by small fish and other species that are then eaten by larger fish. The toxic chemicals intensify as they move up the food chain through these animals — right onto our plates. Fish and other marine life mistake the microscopic plastic for plankton. Big fish eat the little fish, bigger fish eat the big fish. We eat the fish. The mass of this microscopic plastic exceeds that of the plankton. Toxic chemicals washed off the land adhere to the plastic. The Sargasso Sea is a major carbon sink. By 2050, the mass of plastic in the seas will exceed the mass of fish. The supermarkets with their obsession on plastic. Why not as local markets, fruit and vegetables loose, pop in a brown paper bag and later drop on the compost heap or on the paper recycling bin? Challenge the supermarkets for their obscene use of plastics. Support local markets, farmers markets, where the produce is fresh. And if the are using plastic, speak with the organiser and question their low environmental standards. Plastic straws, used for only a few minutes at best. Plastic-lined disposable paper coffee cups loved by the coffee chains churning out disgusting coffee, grab it and go, takeaway, throwaway, consumerist culture. Cyprus an island surrounded by the sea. The island boasts some of the worst examples of plastic abuse. The worst examples are seen with coffee chains Coffee Island and Costa. A freddo cappuccino, served in plastic with plastic straw, not even for takeaway, for their sit down customers. A drink that could and should be served in glass. Speciality coffee shops are leading the way, moving towards compostable cups, refillable KeepCups and similar, discount if used. But this is tinkering with the symptoms, we have to address the underlying grab it and go, consumerist culture, encourage relax in an indie coffee shop with a cup of speciality coffee served in glass or ceramic. 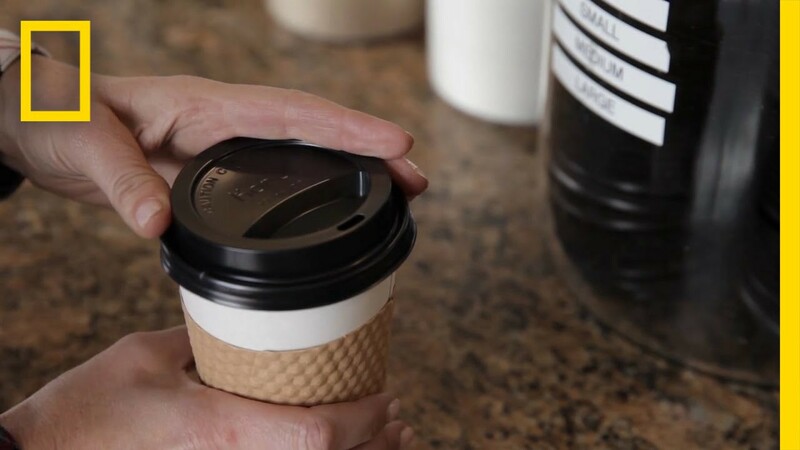 Ask your local coffee shop, what are they doing to discourage grab it and go takeaway coffee? Government has to do more. Support the introduction of the 25p latte levy.